The Influential Software team was excited to attend the Adaptive Insights European Partner Rally this month. 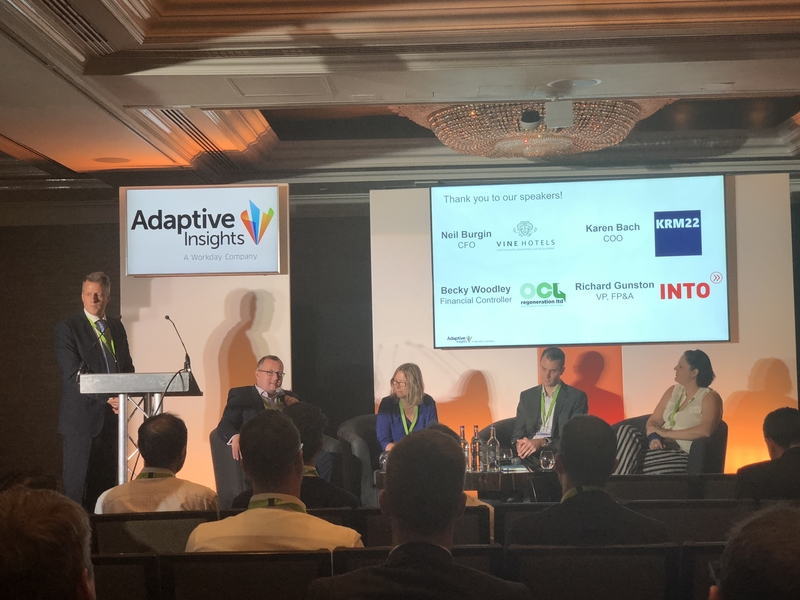 Having announced our UK partnership earlier this year, the team is spreading the word about Adaptive Insights’ solutions for “active planning” in finance. Adaptive Insights solutions are the latest element in our mission to help UK businesses gain efficiency, adopt an agile approach, and transform for the digital age. The event was also a chance to recap why Adaptive Insights is ranked a world leader for financial planning in the cloud. Adaptive Insights has strong appeal for SMEs, thanks to its affordability, integrated analytics, ease of use, and independence from IT support. Its no-limit what-if capabilities – without affecting performance – are a huge bonus compared with competing solutions. Integrated reporting capability is another differentiator, with OfficeConnect allowing exports to Excel and Word for board reports. A demonstration of the quick and easy variance reports for budgets and forecasts was the icing on the cake for customers at the Adaptive Insights European Partner Rally. The Adaptive Insights European Partner Rally offered a sneak peek of new developments in the planning universe. While the company made its name in financial planning, Adaptive Insights has since gained significant ground in operational planning as well. After the recent release of the Sales Planning solution, our top-secret reports indicate that Adaptive Insights will soon be expanding even further outside of finance. Watch this space! As a final takeaway, the Adaptive Insights European Partner Rally reminded prospective and existing customers to take advantage of the Adaptive Insights Customer Journey site. Visit the site to see the full potential of Adaptive Insights for your business, and then let it walk you through the implementation of your journey. For more details of our Adaptive Insights consulting, licence sales, and technical services, why not visit our dedicated site? 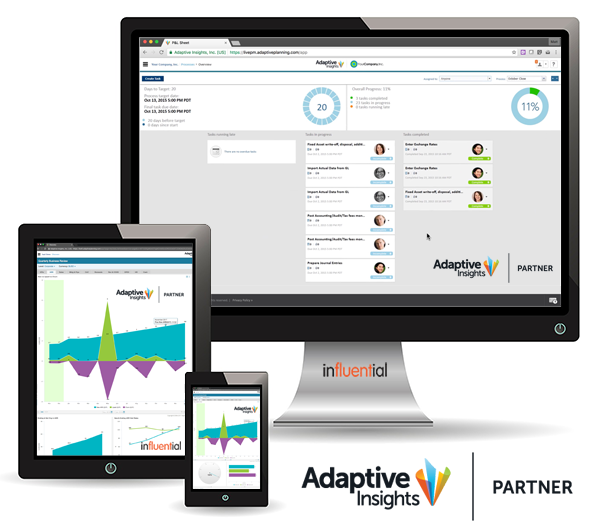 Influential Software proudly announces its new UK partnership with Adaptive Insights. 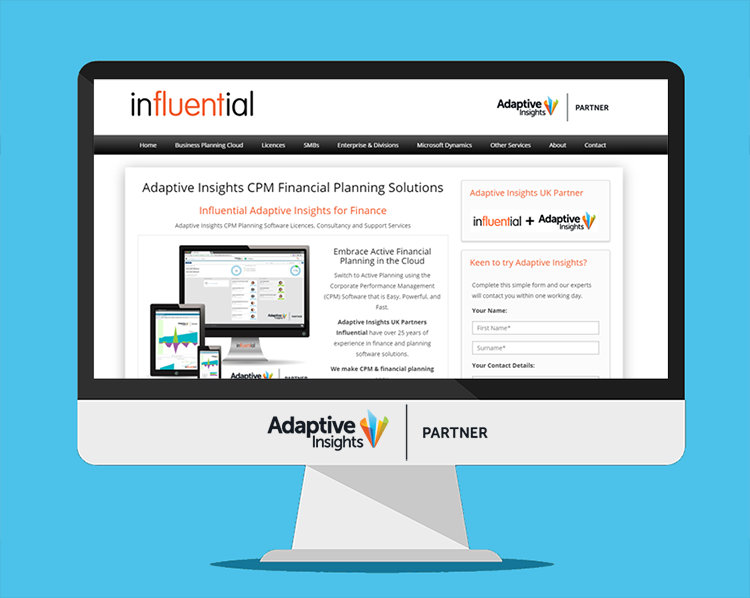 To showcase our expanding CPM Financial Planning Solutions we have launched a new Adaptive Insights Website for Adaptive Insights Active Financial Planning in the Cloud. Adaptive Insights is at the head of a revolution called “active planning”. That means financial planning in the cloud, with no disparate spreadsheets or overly complex planning cycles. As consultants, value-added resellers, and support providers, Influential Software is proud to add Adaptive Insights to its roster of cutting-edge partners. This cloud-based corporate performance management (CPM) solution allows you to embrace an active financial planning process. Providing bespoke reporting, analysis, and trends, simplifying areas such as workforce management, revenue management, and profitability analysis. Business Planning Cloud is financial planning software for your whole business. By offering enterprise-grade features in a cost-effective package, Adaptive Insights has won many customers among SMEs. The solution’s budgeting, modelling, analysis, and reporting capabilities that make businesses smarter and improve agility. Planning made simple, with Adaptive Insights Small Business Cloud. For larger businesses and their divisions, Influential Software uses Adaptive Insights to automate data transfer, removing human error and freeing teams for more productive tasks. We remove bottlenecks with an intelligent accounting approach to data extraction, manipulation, and calculations. Our Adaptive Insights Enterprise Planning & Budgeting Solutions provide finance cloud solutions for large enterprise and teams. As Microsoft Dynamics CRM 2011 reaches the end-of-life, businesses face a difficult choice: staying in a dead end or moving to Dynamics 365. Influential Software offers a third way, with Adaptive Insights. The Adaptive Insights planning and reporting tool for on-premise Dynamics GP, AX, and NAV offers a smooth transition while users plan their transition to Dynamics 365. Overcome Microsoft Dynamics CRM 2011 end-of-life woes by migrating to Business Planning Cloud. Eager to learn more? Visit our Adaptive Insights website to find out more about our Business Planning Cloud solutions. Or if you would like to hear directly from our planning teams – ask about our services today!